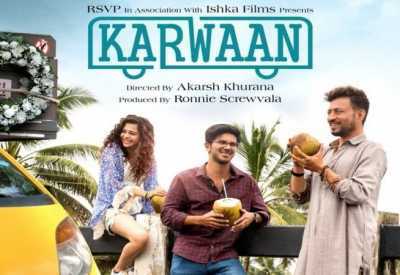 Karwaan (transl. Caravan; Hindi pronunciation) is a 2018 Indian Hindi-language comedy-drama film written and directed by debutant Akarsh Khurana, produced by Ronnie Screwvala and Priti Rathi Gupta. The film stars Dulquer Salman, Irrfan Khan and Mithila Palkar. The film marks the Bollywood debut of Dulquer Salman. It was released on 3 August 2018. The film received positive reviews from critics.